INOTLES Working Paper Series aims at sharing academic work of INOTLES community and external contributors on innovative teaching methods and tools in the field of European Studies. It encourages the sharing of best practices worldwide in pedagogical innovation, case studies or comparative analysis of various aspects of promotion of teaching innovation within higher education . Immense developments in teaching have brought new changes and benefits in the first quarter of the 21st century and this has also striking effect on education. This has also led to innovations in Teaching and Learning process. The purpose of this article is to reveal the effectiveness of simulations, one of the new methods in teaching and learning process. Why teach with simulations and how to teach with simulations is the main focus of the article. We share our personal experience with using this innovative method in the framework of the EU TEMPUS framework project, Innovating Teaching and Learning of European Studies (INOTLES). This policy paper provides a diagnosis of the European Studies in Moldova and advances some recommendations. It examines the interaction between internal and external stimuli that impact an academic field, in this case the European Studies, both having equal importance. The analysis is focused on the Master studies in public and private higher education institutions. The first section reflects upon the state of European studies in Moldova. The second section provides a historical overview and data on European Studies. The last section of the paper analyzes the role of internal and external factors in the development of European Studies curricula. The paper concludes with recommendations for improving curricula and suggestions regarding the multidisciplinary approach of European studies. 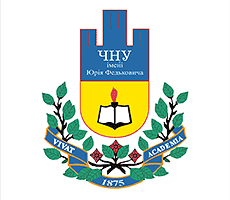 This article illustrates the innovative teaching methods implemented by Professor Natia Lapiashvili in the European Union Law modules at the Institute for the European Studies at Tbilisi State University. The article analyses the combination of the traditional classroom teaching with the Problem-Based Learning (PBL), E-Learning and Simulation exercises. For PBL, after explaining its concept, some frequently raised questions during her classes are presented to demonstrate the application of this method. In the context of e-learning, the article evaluates the usefulness of having pre-recorded video lectures for each topic, which facilitates the flexibility of the learning process and aids self-discipline of the students. The simulation exercises also proved to be very effective at all European Union Law modules, as the students show particular enthusiasm and engagement during discussions. The paper argues that the described innovative teaching methods increase students’ comprehension of various legal issues by putting them in a real-life context. The focus on students’ individual needs and interests facilitates life-long learning and results in improved academic achievements, which must be the primary objective for any modern educational system. This working paper analyses the quality management in higher education of Ukraine and the impact of new edition of the Law of Ukraine (2014) “On Higher Education” on Teaching and Learning of European Studies. For further enhancement of the integration of Ukraine into the global system of education, it is critical, from author’s point of view, to ensure support to the development of innovative education through targeted programs and introduction of the new technologies. Specific attention is paid to the changes in the quality of higher education and particularly study of EU Law courses after the introduction of student-centered, active and constructive learning as a collaborative process in the form of Problem-Based Learning, Simulations and Blended Learning activities implementation into the study curricular. The author's vision and the proposals for the existing educational system improvement, based on the recommendations and best practices of the Netherlands, Belgium and the UK are going to be performed. European Studies as interdisciplinary field of study and research is present in the majority of universities in the world. The content and scope of it, however, varies in form and scope and covers a broad spectrum, ranging from the traditional area studies characteristic mainly to the American and Asian universities to a deep and thorough study of the European Union institutions, policies, law, and politics in the European ones. Since the beginning of the 2000s European Studies has evolved and developed to varying degrees in the Eastern Partnership countries, which have European integration ambitions. This article discusses the existing and desirable content of a European Studies curriculum, which aims to facilitate public administration systems to become more compatible with EU standards and expectations. Based on the experience and lessons learnt at Kyiv-Mohyla Academy, the paper provides concrete examples of public servants trainings and researchers education/training for these purposes. One of biggest challenges in increasing the uptake of simulation games in higher education is the difficulty of learning how to design and run such games. In this paper, a training model is presented that demonstrates the benefits of a mixed method approach, as evidenced by the outcomes of a major research project involving six European countries. The model uses an active-learning approach, whereby users are exposed to a variety of simulation types, both as players and as designers, with additional group discussion deepening individual reflection and confidence. Use is made of a simulation game generator, as well as an asynchronous online simulation, to provide opportunities for users to experience a wide breadth of possibilities within the pedagogy. The benefits and challenges of this approach are considered in light both of general pedagogical theory and of its actual implementation in the EU-funded project, Innovating Teaching and Learning of European Studies (INOTLES). Overall, the paper argues that while teaching simulation game design is not without challenges, it is also possible to provide meaningful support to new users and further stimulus to those who already have some experience. As a result, the approach offers much potential as a means of mainstreaming the use of simulations and in building a culture of active-learning.